NAWA is an ultralight, durable construction made up of 35 FiDU steel arches. Put together they create an open portal easily accessible from all the sides. 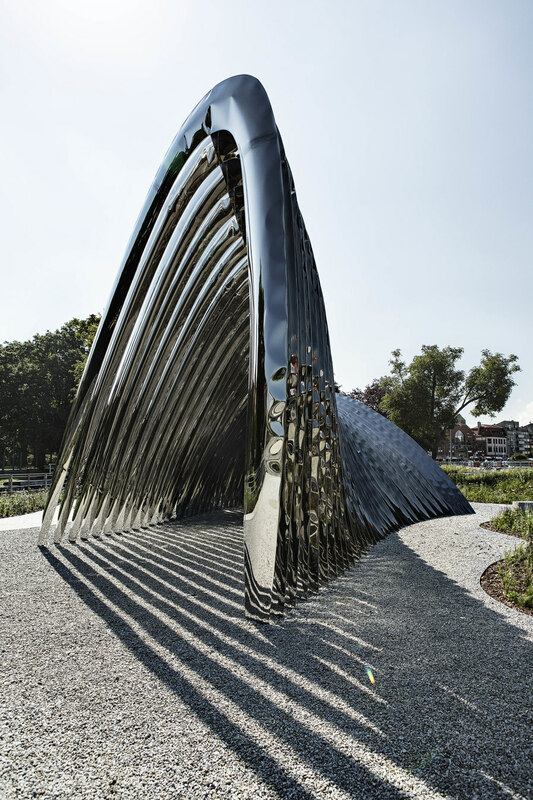 Bionic form and high polished surface that reflects the surroundings create the effect of naturally growing sculpture. NAWA’s look is constantly changing through the day and gives an amazing game of lights at any time. 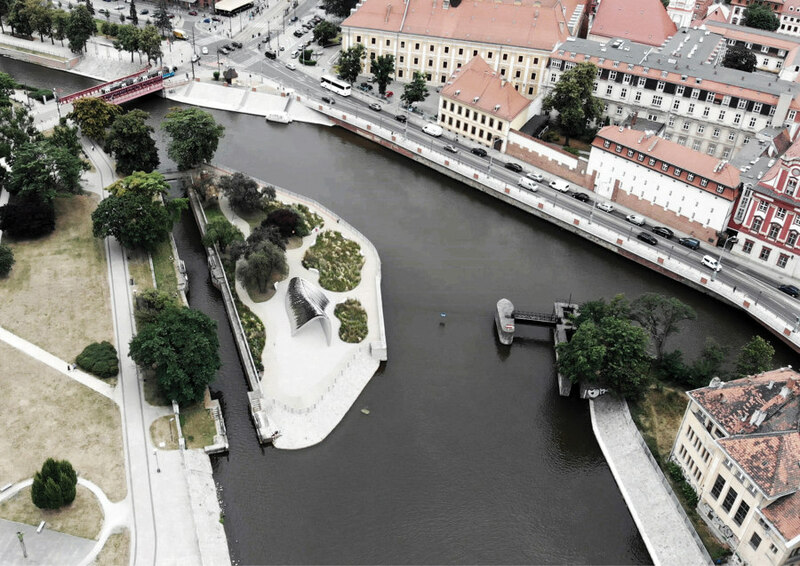 The NAWA sculpture is erected on Daliowa Island – the smallest of over a dozen islands in Wrocław is situated in the primal current of the Odra river and is surrounded by both lush greenery and historic architecture. In the recent years it has been almost forgotten. 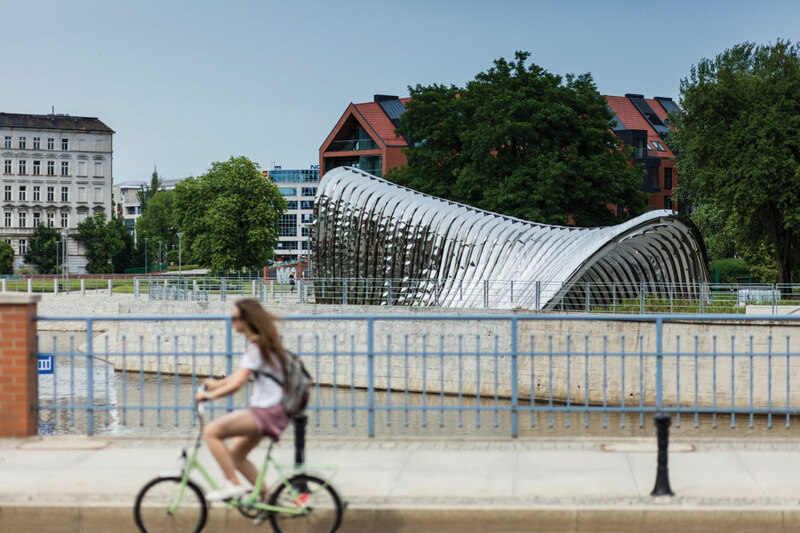 Today, thanks to the NAWA sculpture, set up as part of the European Capital of Culture, the island can be re-born and remind the citizens of Wrocław about its presence. NAWA is a part of Daliowa Island revitalization which includes turning the island into a place full of greenery which would at the same time be a meeting place in the city centre. NAWA sculpture perfectly embodies these assumptions. 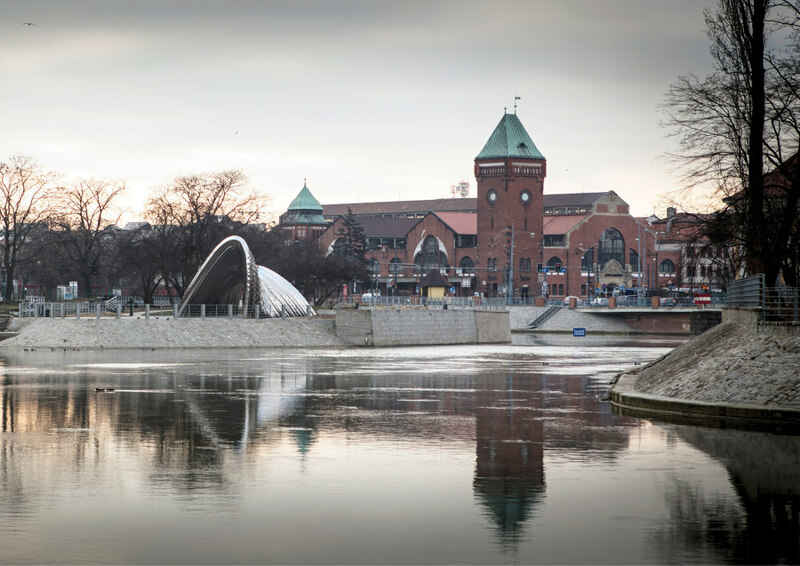 It does not ruin the natural character of the island and simultaneously it is an articulate and attention-grabbing urban element in Wrocław. 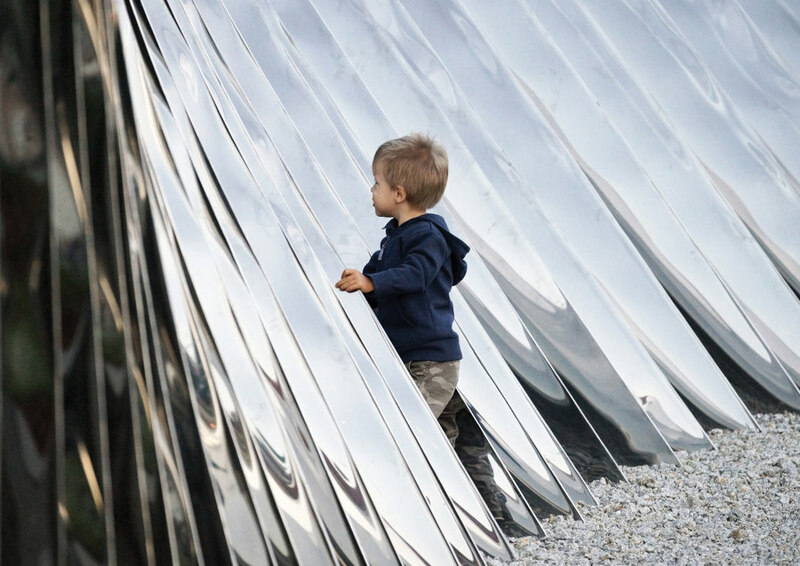 Since unveiling in June 2017, the sculpture has been gaining recognition in architectural circles, attracting the attention of critics and the most influential magazines around the world. 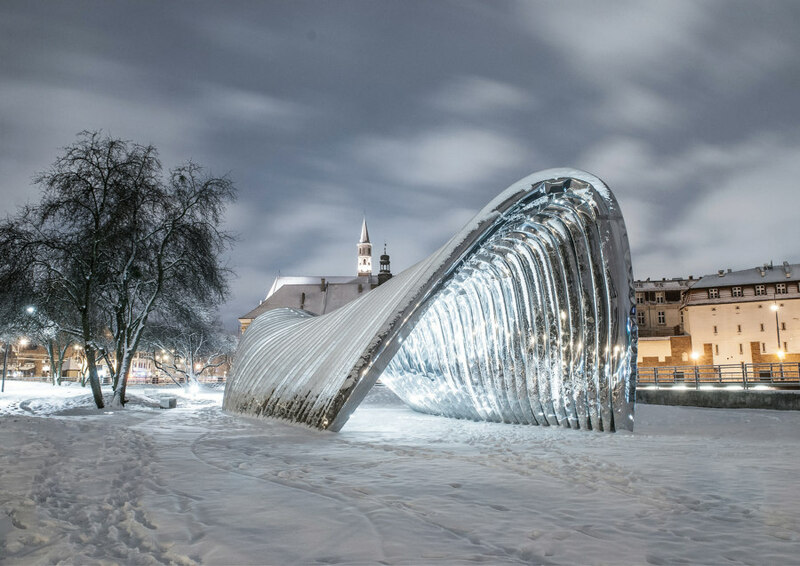 At the finale of Architektura-Murator magazine’s competition it was awarded the most innovative Polish architectural project of 2017. 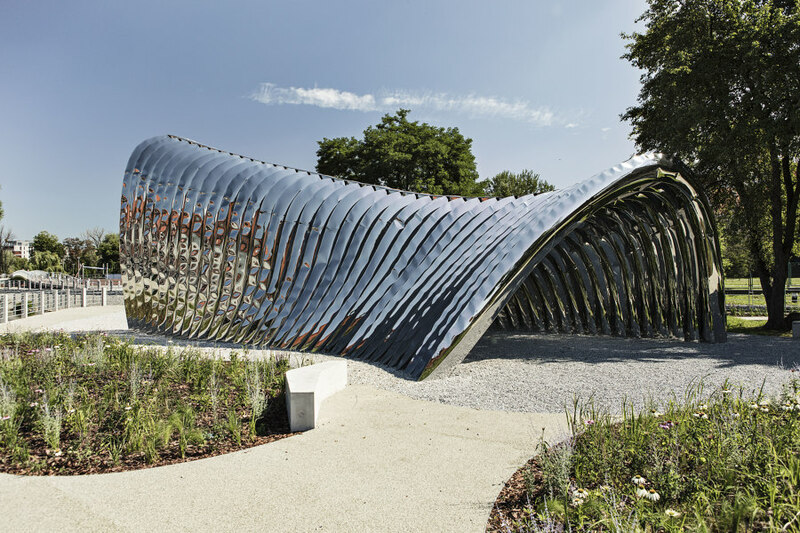 In December 2018, NAWA has been announced as one of Dezeen’s top 10 architectural pavilions in 2018 and was nominated for the European Union Prize for Contemporary Architecture - Mies van der Rohe Award 2019 - one of the most important and prestigious architectural awards in the world. NAWA was born in a special place – former shipyard. 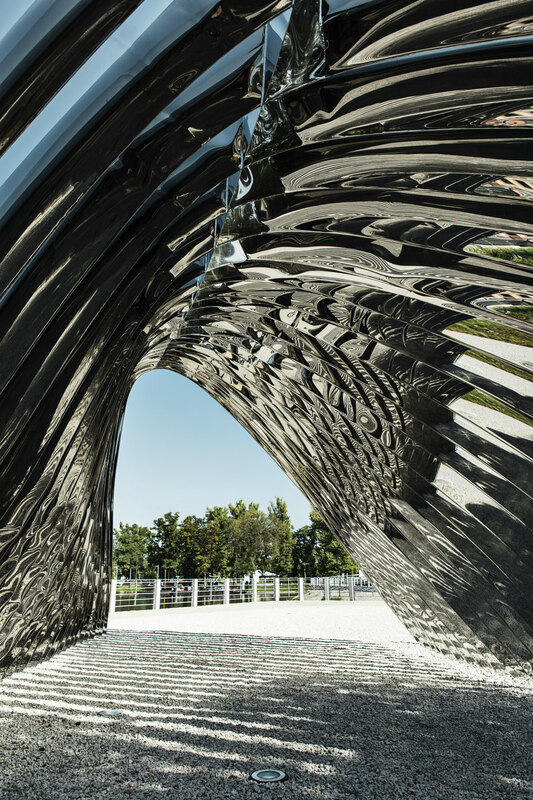 This choice was determined by the size of the sculpture which required unusually large production hall and also easy access to the Odra river. “For months elements of NAWA were cut, welded and then blown with air. The vast majority of works took place in the production hall. Thanks to that we could save time during the installation on the Daliowa Island. The long hours of hard work paid off when we saw the final effect”, says Oskar Zięta. 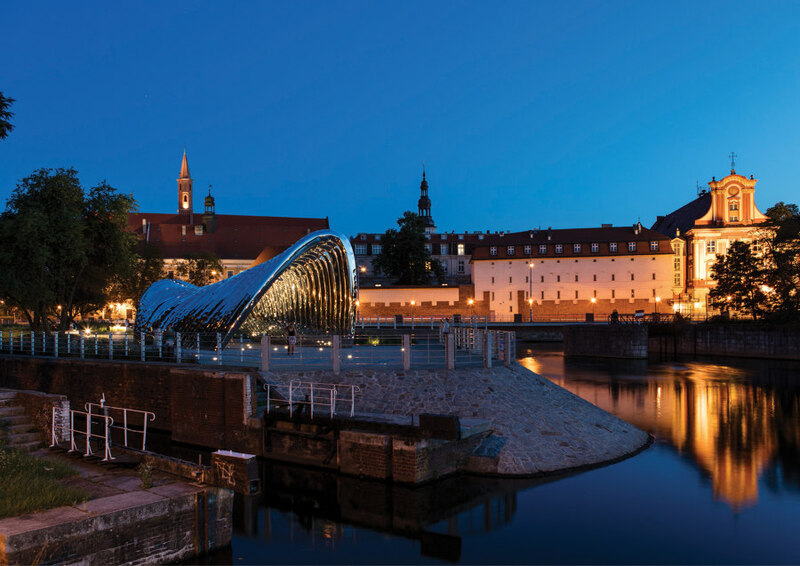 NAWA opens another chapter in the history of the Daliowa Island, returning it to the dwellers of Wroclaw. The space became a bustling, open space for meetings, concerts and artistic events. 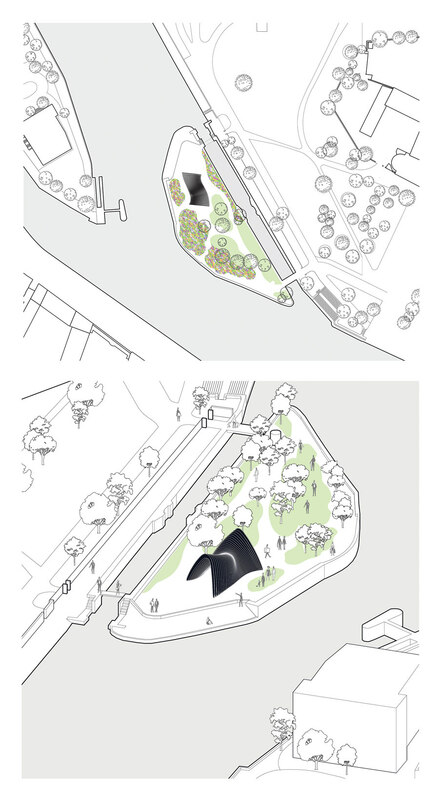 Sculpture along with planned vegetation will create a consistent organic unity, emerging naturally from the river. 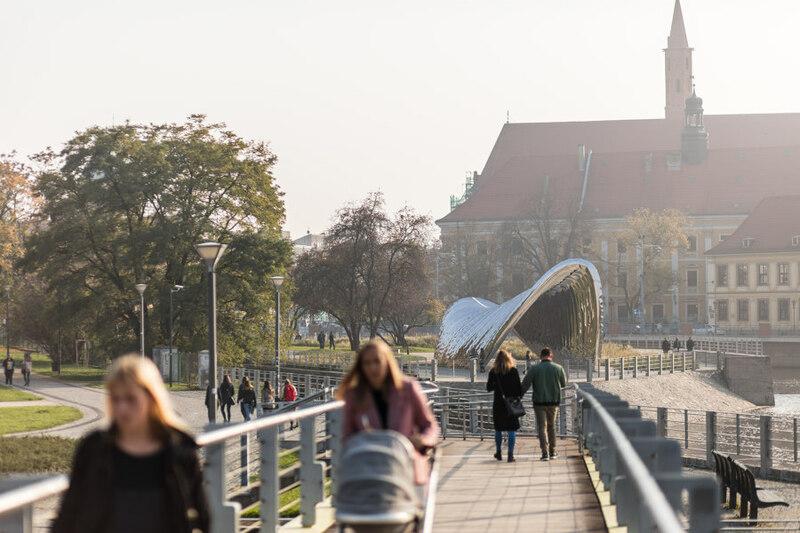 At the same time, the realization will fit perfectly into the architectural order of the area and its vibrant life, full of tourists and passers-by. -	Production process took about 700 hours of work. -	Combined length of weld totals 2 kilometers.